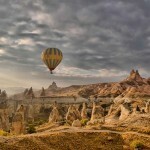 This is the most popular tour in Cappadocia. You can join this tour alla around year. It is constructed on the highest point of the region. It has a totally distinct castle form including graves, tunnels and churches, that you cannot come across at any other place in the world. Open Air Museum is important to understand the influence of the religion, especially of Christianity, on the region. 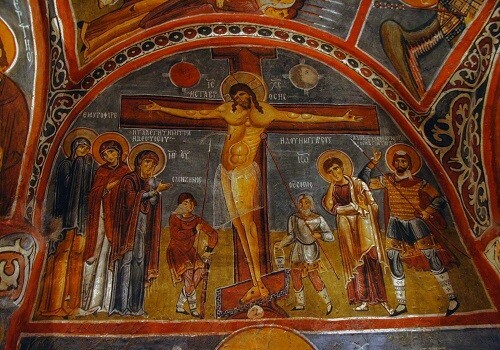 For good reasons it is the most famous attraction, a complex of several cave-churches with frescoes carved out by Orthodox monks between 900 and 1200 AD. An old Greek village will be next place in the tour. Çavusin is a village about 4 kilometers from Göreme .The old village is largely deserted because the area has been plagued by rock falls. At Çavusin you can visit the Church of John the Baptist which probably dates back to 5th -6th centuries. The view of Rose Valley is excellent from this village. The best place to see three-headed fairy chimneys. Pasabagı means the Pasha’s Vineyard, is surrounded by incredible natural rock formations; a spectacular scene. 1 hour for the lunch in Han Restaurant which is very cool and popular in the region .You will start with the soup. Than you will have self-service. Since Hittites 2000 BC people could get the red clays (terra rosa) around Kızılırmak river which is the longest river of Turkey, and white clays ( caulin) from volcanic hills .They could use the clay to make pots and jars for their daily life by shaping the clay by their hand on the spinning wheels. The ruins at Devrent are spread over three valleys, which also house several pointed fairy chimneys with large stems. The “fairy chimneys” with caps, mainly found in the vicinity of Ürgüp, have a conical-shaped body and a boulder on top of it. The cone is constructed from tufa and volcanic ash, while the cap is of a harder, more resistant rock such as lahar or ignimbrite. The fairy chimneys which are symbols of Ürgüp are called holly spirit chimneys. There is mother, father and son fairy chimneys stay together. Your tour will finish and you will be dropped to your hotel.